Home » Articles » 41. Be Careful: Your Sense of Humor is Returning! ← 40. Are You a Creature of Habit or an Adventurer? 41. Be Careful: Your Sense of Humor is Returning! Bent over from laughing so hard, being silly; it can suddenly happen to you again. Has your face been tense for a while, or were your emotions overwhelming? Did you have problems with your sense of perspective? Were you just too tired to be happy? Then it’s possible that you spontaneously break into a fit of laughter while doing the MIR-Method. 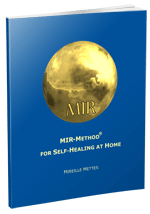 One of the characteristics of the MIR-Method is that you renew your energy: via the meridians, new nutrients, getting rid of old burdens and the flowing again of your chakras and aura. All of these work together to reload your batteries and you become energetic again. Humor is something that you need energy for. The more energy you have, the more humor. How did you grow up? In a family where humor existed? Did everyone laugh? Or was everything serious and you weren’t allowed to tease each other? Then your feeling for humor is underdeveloped. Children, who grow up with little humor, can lack it as adults. If you do the MIR-Method, then with step 3: “Detach father. Detach mother”, you detach yourself from the norms of your parental home. You shake off the weighty seriousness of it all. You get your “dirty mind” back. You begin to feel that teasing is not life threatening. You begin to realize the teasing is actually fun and that it can really improve the atmosphere in the house or at your work! Your brain can really work against you. If you have beliefs that hinder you from being happy, I call those “toxic beliefs”. Think about things like: “Laughing is something for dumb people”. “You can’t be happy because the world is too dreary”. “Once a pessimist, always a pessimist”. “A manager is supposed to be an example of focus and drive”. If you laughed at the wrong moment as a child (during a funeral), you can probably remember the slap you got on the back of the head very well. You learned a belief: laughing is dangerous because, out of nowhere, you can get slapped. Humor can be used against you. If you were bullied, it was “really” fun for the bullies and those surrounding you. It wasn’t for you. Or if someone in the class said: “You have a weird laugh!”, you hid your loud laughter forever. With step 2: “Detox all toxicity”, you remove all of those hindering beliefs and toxic memories out of your system. Hello loud laughter, are you there again? And then all of a sudden, that loud laugh appears again. Before you know it, you are guffawing. You can have a laughing fit with your neighbor or colleague like you haven’t had in a long time. Enjoy it! “A day without laughter is a day not lived”. This expression irritated a friend of mine. As if life is fun! In the meantime, doing the MIR-Method has reawakened her sense of humor. She reports laughing as she used to, to the point of getting a stomachache. A release! “It was so wonderful,” she shouted through the telephone. People with a sense of humor are worth their weight in gold! Humor is essential in relationships, between friends and girl friends, colleagues, during meetings, everywhere. It can even be your mission: to create gaiety by making people laugh. Laughter is enormously healthy and healing. If you make someone laugh, you help the other person to forget his or her worries. You lift the other person out of being gloomy. It makes life a bit more cheerful and bearable. How about you? Where is your sense of humor? Far away? Has it returned? I’d love to hear if you have noticed your sense of humor returning. Let me know below! P.S. Please help me spread the MIR-Method to other people! Forward this article by clicking on the icons for Facebook, Twitter and Linked-in below and to the left. Thank you so much! I just want to tell you Thank You from my heart. I have shared the MIR Method with many people. People that were on the edge and in trouble and really it’s been a miraculous recovery for them, and me too. So it’s working and we love you for it. That sounds like a wonderful way to let go of a dear friend! 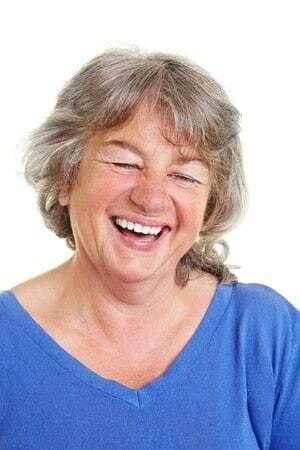 Yes, I so resonate with your article on laughter. It’s so strange because so many more challenges are coming my way now. My husband suffers from Alzheimer’s, my love of freedom is curtailed. Even doing some precious gardening outside, it’s “where are you, what are you doing, come inside”, etc. Taking over all paperwork, selling, buying new home etc, challenges with some of his children who feel I’m out to,get all his money ..And yet, what’s all this exaggerated sense and love of the totally ridiculous coming back to me 10fold? My precious 12yo granddaughter bears the brunt of it. “Nana, you’re crazy, you’re insane. I’m not but when I’m with you I go a little bit the same as you do, but it’s all your fault”. Oh, this laughter, the weird situations I keep finding myself in. How it seems to become infectious with others. 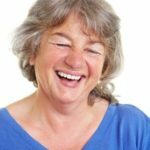 What can be better than laughter throughout ones life? Your post made me smile. Yes, that is a wonderful way to keep your energy up! Especially when you have to deal with quite a challenge. May you ‘infect’ as many people as you can! Yes I must say I am feeling happier, more balanced and laugh more these days with my husband and friends! You are right. Thank you for all your newsletter! I am so happy for you! You must be quite an inspiring person at the moment. When you laugh you cheer up the people around you! Am very happy for you that your laughter has come back! Much joy to you too! NO what I notice I’m more sensitive to things I feel that everybody is against me I do not know why I feel that way. It can be that you become more sensitive to how people behave. Look at how well you can set your boundaries! It will pass in a few days, and you will probably get better at standing up for yourself.